I’ve had the pleasure of working with the Sony A7s for about a month now and have shot a couple projects on it. Lovely camera that fills in some gaps other cameras possess. In this episode, I do an in-depth review of the Sony A7s and compare it to the current alternative and popular Panasonic GH4. Various gear and links mentioned in the video. Dat 8 bit output is a deal breaker in my opinion. Thanks for your honest and thorough review. Perhaps $4000 and a $10 roll of gaff tape is the answer? Just stick the two cameras together and everyone wins! I think what you said a while back about cameras being like girlfriends is true. You want in the next one what you missed in the last one. Coming from a T2i, it’s hard to pass up the full frame, low-light clarity I sorely missed, but I’ll probably let the jobs decide the tools to use. Having used both cameras for some time now, I’m actually finding the A7S’s 1080p image sharper and better looking than the GH4’S 4K image downscaled to 1080. Is possibly because of the a7s’s 4K sensor? Still love both cameras, great review and yes I will be hanging on to both systems paired with the Metabones adapters and Canon glass. Love the 24-105 IS combo on the A7S, great for run & gun…. F4 in the dark, no problem! Great Review, thank you very much! I am surfing your page every day. It shouldn’t be. If you haven’t shot on the camera yet, I highly recommend giving it a try before dismissing it. The image it outputs and its ability to take a beating in post, in my opinion, is as good as what you’ll get from many 10 bit outputs. Great review. One thing you didn’t mention is the difficulty in switching between shooting on the monitor and the EVF. The camera does not allow you to have both on at the same time, which can be very frustrating. I found myself in situations where I really needed to quickly move from one view to the other and couldn’t do so comfortably. The A7s does have an auto feature which will detect which screen you’re looking at and switch for you, but it’s far from perfect. I had shots where I was shooting low and holding the camera close to my body and it would shut the screen off in favor of the EVF. Very annoying. I would have like a button or switch that would let me go between the two, rather than having to go in to the menu. Rolling shutter was not an issue for me. Combining it with Canon IS lenses and a cage gave me very stable and beautiful footage hand-held. I shot four days at a music festival, and this camera was perfect for all the conditions I was in, from sunrise to 4 a.m. I completely agree on giving up on Canon. They are so not keeping up at the moment and nothing in the rumor mill that looks like they might. And yes, the batteries on the A7s are just atrocious. Thanks for the excellent, down to earth interview as usual. I got the GH4 as soon as it came out and love it, picked up an A7s during a weekend in HK and honestly I can’t put it down. I decided to keep both as no one camera can do or serve all. The one truly amazing thing that they both share is that they are both lightweight powerhouses. It’s a pleasure to be able to walk around without a humongous brick. Nice work as always. I have just started shooting with GH4. What color profile/settings do you find yourself using? Thank you! This review was incredibly helpful. I am also wondering what picture profile was used on the a7s as an alternative to S-log2? I find the “Cine” profiles produce significant noise when compared to the standard “Movie” profile. I bought the 24-70 F4 full frame e-mount lens from Sony and I don’t notice any lag when using the zoom ring. I’m not sure if it is mechanically set up the same as the Sony one you have but it seems to work without a problem. 64gb class 10 U1 or U3? I couldn’t tell based on the card’s descriptions. I bought te A7s mostly because of Slog2 and S-gamut. You just shoot at M.M +2.0, denoise with neatvideo. regrain with filmconvert and the results are simply amazing. Better then BMCC IMHO. @24/25fps A7s has no visible moire or aliasing. This is a goodbye to the dslr look for me. I’ve got both the SanDisk Extreme 95MB/s U1 and Transcend 95/60MB R/W U3 and both work fine. In terms of price the Transcend is about a third of the price. At least where I’m located. I agree. 10 bit out is not common with any cameras (except very high end). The fact that the GH4 can output is does not mean you should discard cameras without. Do you know which one is the faster card? It says that the minimum write speeds of the U1 is 10mb and the U3 is 30mb, but it always seems to include the U3 is made for 4K which makes it sound like a better card. U3 is indeed required for 4K recording on the GH4. The Transcend is in pratical terms better card than the SanDisk. I could write a file to the Transcend at about 60MB/s. 25MB/s on the SanDisk. It’s also alot cheaper, which is a big deal. Maybe the SanDisk is more reliable, but I haven’t had any issues. Hey Caleb. I really appreciate all the time you put into this. It’s a pretty solid comparison between the two. There is one point about s-log2 I don’t agree with, and I think it’s worth sharing—holding highlights. I’ve been shooting with the camera for a few weeks (and have a strong background in color correction and grading) and I gotta disagree—s-log 2 isn’t any more prone to losing highlights than any other picture profile on the a7s. If a highlight is blown, it’s blown. Any other picture profile won’t recover a blown out highlight any better than s-log. That said, there are challenges that come with the s-log2. First, the minimum ISO of 3200 can be tough when shooting outside. Second is noise in shadows. This is where the trickier part of exposing for s-log comes into play on the a7s—if you push the shadows even slightly in post, they become very, very noisy, very quickly. So my strategy with s-log has been to expose as far to the right as I can, while holding highlights to the best of my ability so I can push down shadows in post and still have room to work with midtones and highlights. I’m a big fan of s-log on this camera. I shoot most of what I shoot with it, but I’m also approaching it from the mindset of someone who sees flat profiles as a very good thing. Color grading was one of the first things that attracted me to video, so it’s pretty firmly ingrained into how I shoot. Thanks for the comment David. Good points! Can’t believe I forgot to mention the 3200 threshold! Caleb, thanks for extensive review. This is my first time to sit down and do some research on Sony A7s. Since I’m in the market for a second camera, I’d thought I’d explore Sony. I’m looking for something to compliment a 5D MarkIII. I’m half-way through your video and already learning so much! This is so much better than reading through a boring review. Great review. The lens situation confuses me a bit. When you use your Nikon zoom on the A7s, is there any communication between the camera and lens, or is it completely manual? The Nikon lenses I use are completely manual. This way I can use them on any camera under the sun. 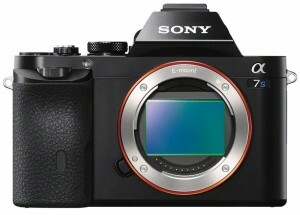 A7S does not use simple line skipping, but calculates it internally to FHD. I haven’t tried it yet, but people report that in Premiere Pro choosing export format FHD while maintaing sequences in 4K gives much better results than simply dropping 4K on FHD timeline. Fantastic review. I do have a question. I have been researching the Sony A7s to use to make an artistic horse video next year. My concern is will the rolling shutter be a huge issue? It is an issue for some people and isn’t an issue for others… Best way to find out is to rent an A7s and use it yourself to see if it’ll be a potential problem or not.